Our flat rate fee of $35 is a single fixed fee for pick up service regardless of how much e-waste you recycle. Our service area covers all of Oregon, Southern Washington, Puget Sound and Seattle. 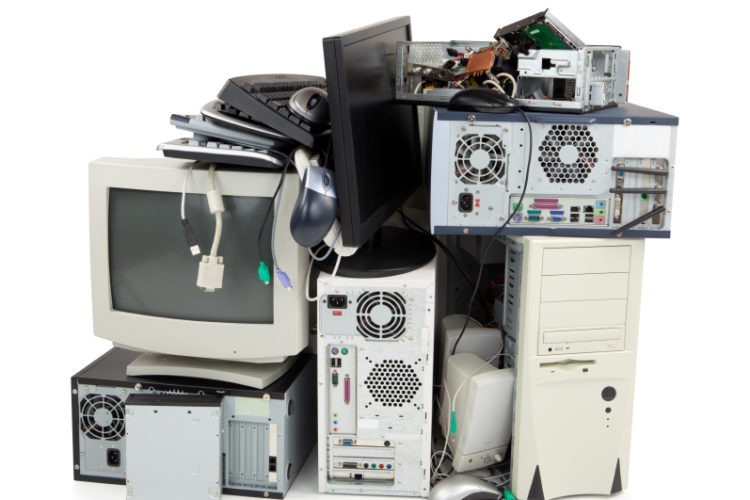 We offer Flat rate Pickup & Removal of your old electronic - E-Waste items. GCER also provides physical onsite hard drive destruction as well as data destruction to meet any compliance needs (NIST 800) . Naturally, our drop-off service is free for everyone (Mon-Fri, 8:00am-5:00pm and Saturday 11-3pm).In addition to ewaste services, we also offer Universal Waste recycling for all of your lamps and batteries.See our list of items we accept at no charge below. If your company has newer equipment you would like to sell, please contact us. We will advise you on the arrangement of your consignment from the start. We offer individual, tailor-made solutions to optimally meet your needs. All steps will be set forth in a consigment agreement. Your goods will be stored and protected in a separate consignment warehouse in accordance with the most modern quality standards. After inspecting your inventory, our marketing and sales divisions will analyze the market potential of your products on the basis of the data gathered in 12 years of market experience and will enter the results into our worldwide distribution network. After all product attributes are made available to Green Century our sales and marketing will take care of the distribution of your goods. Benefit immediately from a high market penetration, a huge customer base and reliable logistics. We will notify you with offers as they are received!